Is Neil Young the Lucious Lyon of the Woodstock generation? For some reason, one of Neil Young's core beliefs is that people should be listening to the least compressed audio possible. Late last year, he announced that his Pono company was transitioning from its Toblerone-shaped music player and into the world of streaming. Now, details of the streaming service have emerged, and they suggest that Neil Young is more like Empire patriarch Lucious Lyon than we might think. In a new Pono post [via the CBC], Young revealed that he has partnered with a Singapore firm called Orastream to create "an adaptive streaming service that changes with available bandwidth" for "complete high-resolution playback." The service has been given a particularly punny name — they're calling it Xstream. If that sounds familiar, that's because there's already a fictional streaming service with the exact same name. Anyone who watches Empire knows that Jamal and Hakeem Lyon have been streaming up a storm on the show's Tidal clone, which is also called Xstream. Does this mean Neil Young exists in the same world as the Lyon family dynasty? We'd love a multi-episode arc where he attempts to woo Cookie, or hires a thug to rough up some other folk-rock artists who've been talking smack about him. 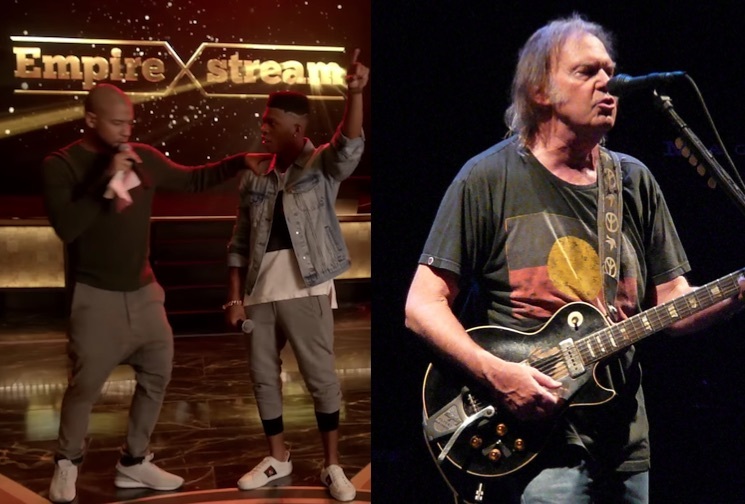 Either way, it looks like Neil Young's Xstream will be the next big step in his efforts to save Pono. "For more than eight months, I've been working with our small team to look for alternatives," he said. "Finding a way to deliver the quality music without the expense and to bring it to a larger audience has been our goal. "Xstream plays at the highest quality your network condition allows at that moment and adapts as the network conditions change. It's a single high-resolution bit-perfect file that essentially compresses as needed to never stop playing." Young added that Xstream has proven to be "a difficult sell" for investors. Presumably because those particular investors have seen the trials and tribulations of running Empire Xstream every Wednesday night on Fox.